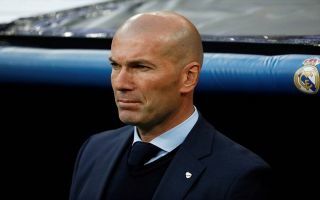 Real Madrid manager Zinedine Zidane has revealed that he’s yet to make a ‘final decision’ on who will be Los Blancos’ first-choice goalkeeper for the foreseeable future. According to Standard Sport, the Frenchman revealed that he will use “everyone” available to him, it seems as though the 46-year-old is certain that he will have to use the depth of his entire squad on his mission to get Madrid back to the top. In his first game in charge since returning as Madrid boss, Zidane dropped Thibaut Courtois and recalled veteran Costa Rican stopper Keylor Navas to the Los Blancos starting lineup. The 32-year-old looked comfortable in Madrid’s 2-0 victory against Celta Vigo, he showed his talents early on when he denied Maxi Gomez with a wonderful save. Keylor Navas may have taken back his No.1 shirt from Courtois, the Belgian has been extremely disappointing since joining this season. Zidane also has the chance to call on his second oldest son Luca should he need something different between the sticks.